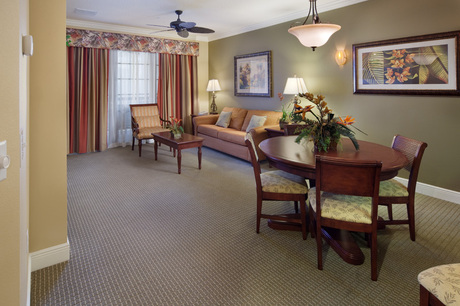 Beyond the realm of luxury hotels, the port of call for your Orlando vacation awaits: Lighthouse Key Resort and Spa. Located four miles from Walt Disney World®, Lighthouse Key features deluxe villa style vacation condo rentals in a truly magical vacation resort setting - perfect for family vacations, romantic getaways and business gatherings. 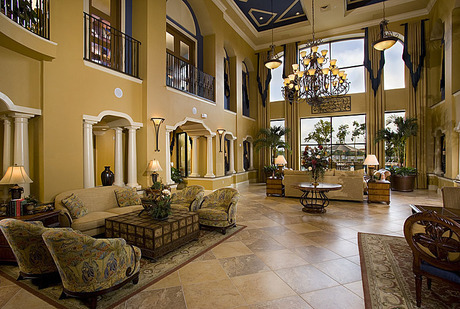 At Lighthouse Key Resort and Spa, the Grand Clubhouse is your centerpiece for Florida vacation fun. The European style spa will take you away to the shores of endless relaxation. The business center, Internet cafe and fitness center make work and workouts easier. And for family enjoyment, there’s two heated swimming pools, game and billiard rooms - even a 52-seat movie theatre! With four distinct floor plans, these 2, 3 and 4 bedroom vacation condos range from over 1,100 to over 2,100 square feet and feature upscale Orlando vacation style, convenience and comfort - including fully equipped kitchens, living and dining areas, and spacious covered patios. For an unforgettable Florida vacation experience, set your course for Lighthouse Key Resort and Spa - the port of call for your Orlando vacation. Please note this property is a self catering property and does not provide daily housekeeping services. Full service cleaning is provided every 3 days for stays longer than 4 nights. Two complimentary 850mL (LARGE) bottles of VOSS water in room upon arrival (a $12 value based on the price they would pay at the parks). 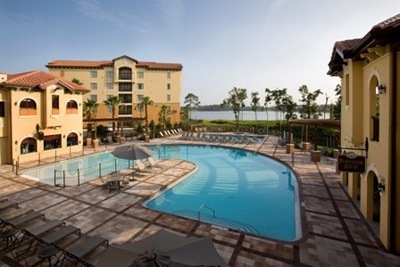 Lighthouse Key Resort & Spa is an amazing Kissimmee lodging choice for your trip to Florida. 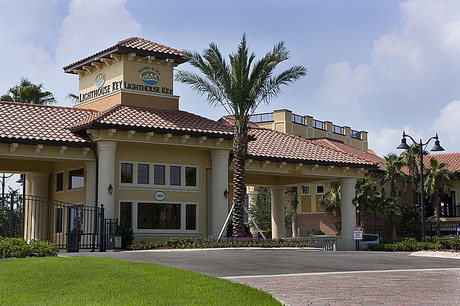 With numerous amenities for guests such as car rental, 24 hour front desk, cable/satellite tv, you will wake up at Lighthouse Key Resort & Spa feeling refreshed every day for your time in Kissimmee. Don’t let this amazing reservation opportunity pass you by, book your stay at Lighthouse Key Resort & Spa today to make the most of your time in Kissimmee, Florida.